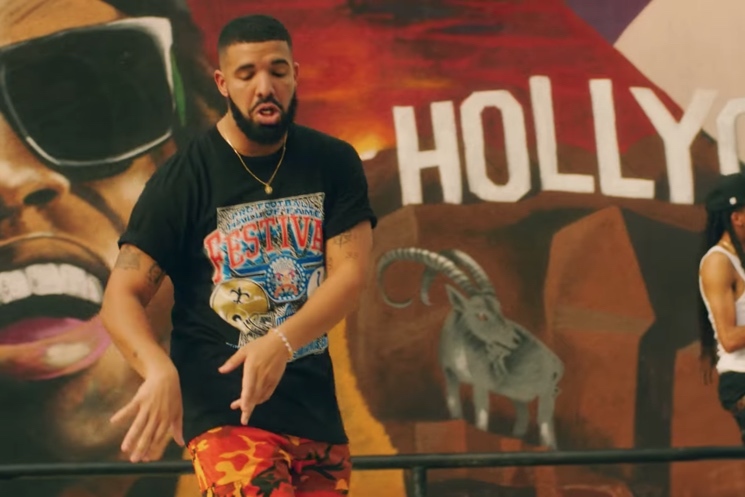 Drake's Scorpion standout "In My Feelings" has become a viral hit thanks to the #InMyFeelings dance challenge, and now the Toronto rap superstar has released a video for the track. The cinematic clip begins with Drizzy showing up at his beloved Kiki's window and calling up to her, Romeo and Juliet-style. After that, the video is a non-stop summer street party featuring Drake wearing a shiny grill and doing the now-famous #InMyFeelings routine alongside lots of fellow dancers. The #InMyFeelings dance was created by American comedian Instagram personality Shiggy, who appears in this video. Watch it below. Drake is about to go on tour with Migos, despite a slight delay in the schedule.